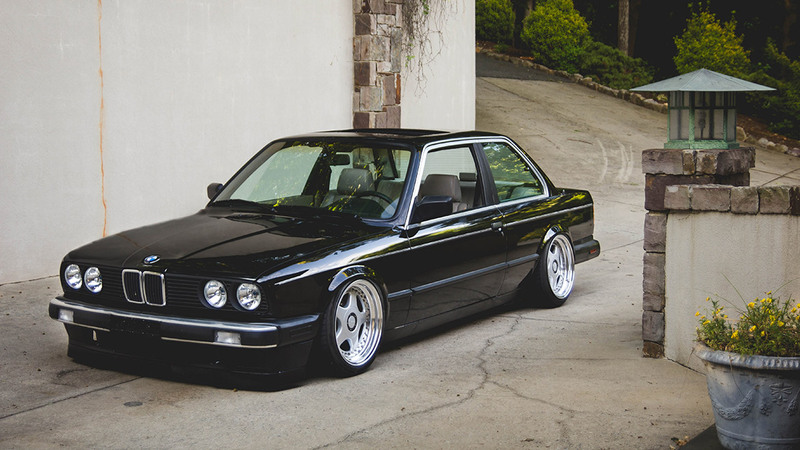 Since its first release in 1982, the world’s automotive press and aficionados alike have been celebrating the classic BMW. 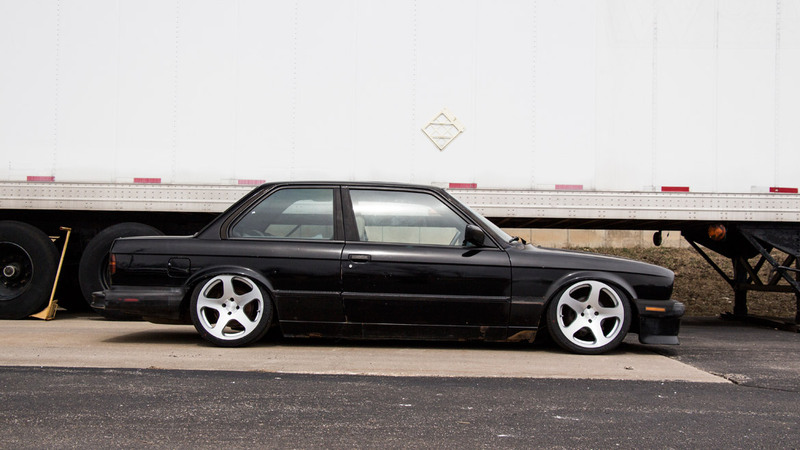 Ever since then, the E30 has seen all kinds of modifications: everything from V8 swaps to full-on custom builds…this platform has pretty much seen it all. After all, it’s hard to beat a small, lightweight rear wheel drive car for the ultimate fun factor! 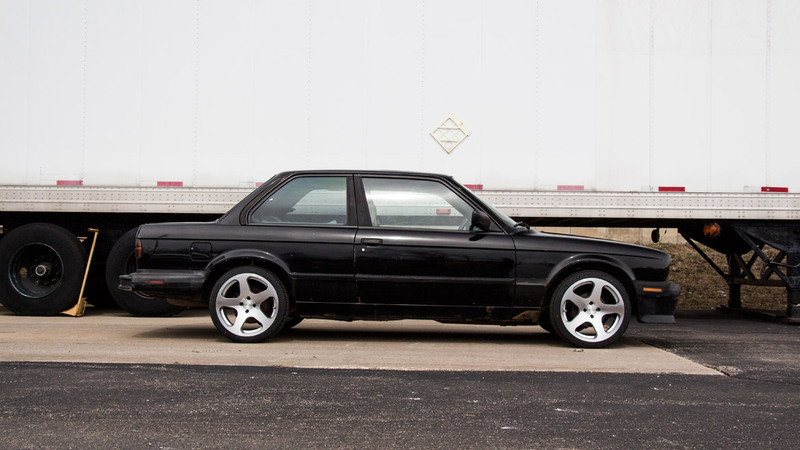 You know your Bimmer was born to succeed everywhere, from idling in the executive parking lot to shredding curves on back roads—but instead of shredding curves, you’re shedding tears over the factory stock height. 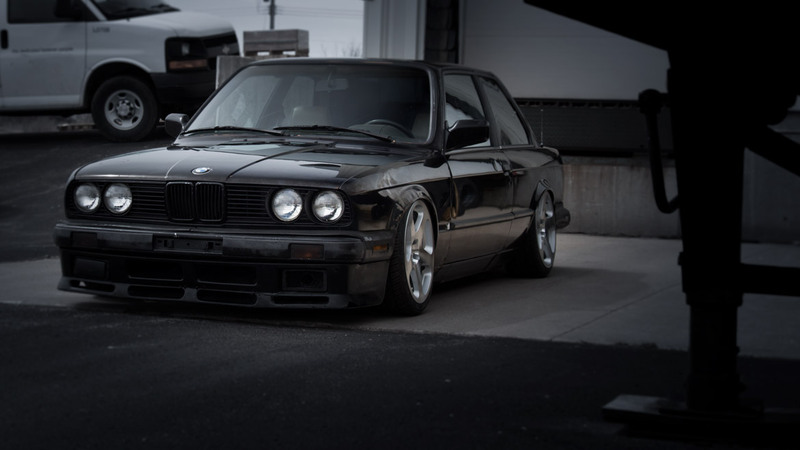 The E30’s love of wheel gap makes all the wrong first impressions. Since we believe wheel gap is one of those things that you can get too much of, our ALP engineers took on the task of putting the E30 chassis way closer to the pavement than any BMW engineer would have ever thought possible. You know your BMW corners the market in luxury performance…but how would you like to corner the turns on the racetrack just as well? 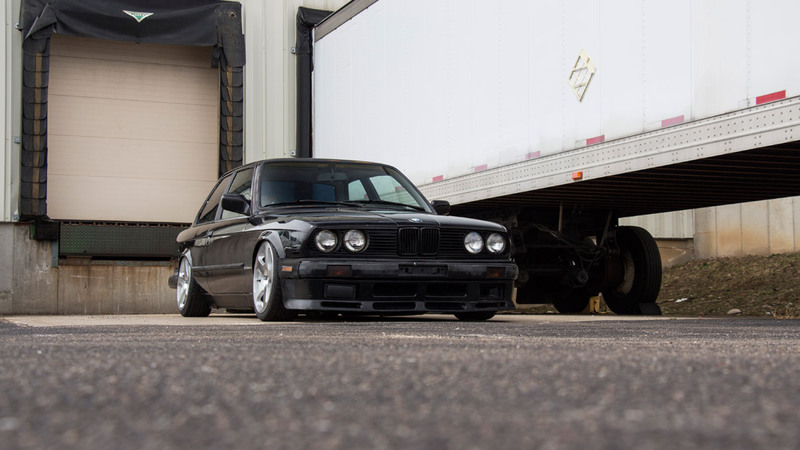 Air Lift Performance has the very solution you need, with an adjustable performance air spring suspension kit—available now for your BMW E30 3-Series. Before you think this kit is just about going low, you should know we test all of our kits on the track, with the goal of delivering the best most versatile way to lower your BMW without compromise. 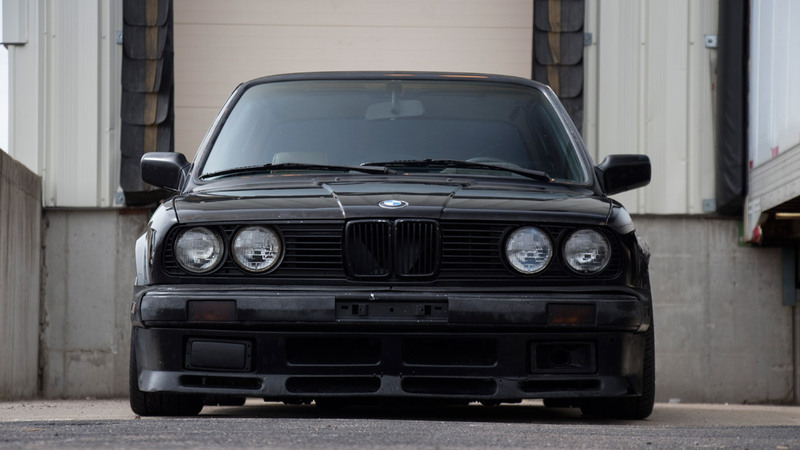 We realize there are several different ways to slam your E30 to get the look and performance you crave, but do you really want to give up ride quality or scrape everywhere you drive? For the front kit, we mated a smooth-riding, double-bellows air spring to our 30-level damping adjustable, monotube, threaded body strut, giving you 5.1 inches of drop. The look is topped off with adjustable camber plates made of T6061 red anodized aluminum that utilize a high-quality spherical bearing. Since Bimmer engineers never thought their executive car would see this kind of drop, they didn’t leave the suspension very mod-friendly…so some fabrication work is required. Similar to most aftermarket suspension systems, this is a weld-in kit that requires high-quality welding capabilities. This kit asks that you weld the outside perimeter of the lower mount to the hub. Unless you are highly confident in your welding skills, we recommend turning the installation over to a professional. The rear is a much more install-friendly design. We simply replace the factory coil spring with a double-bellows air spring, giving you a 5.6-inch drop. To keep the rear from bouncing down the road, we use 30-level damping adjustable, monotube, threaded body shocks. With black chromed shock bodies and bright red accents, these shocks look just as sharp as they function. And there’s no welding necessary for this kit—just check out the Air Lift Performance instruction manuals and have basic hand tools nearby to complete installation. Altogether, what you’re getting is a suspension that you can enjoy on a daily basis, with the ability to hit the track or your favorite twisty road with just a push of a button and twist of the damping knob. Don’t let the thought of air suspension scare you—not only is our suspension 14 pounds lighter than OEM, but our proven technology delivers a suspension that performs on par with high end coil-overs. We provide you with detailed instruction manuals, to help you with a smooth install. If you do happen to have any questions during your install, our tech department is one of the best in the business! mileage warranty—not to mention the Air Lift Performance reputation for great customer service and technical support— you can purchase this kit with peace of mind. Ditch those coils and get to a new level of low. NOTE: Weld-in front application, No front swaybar mount for M3 models.